Compilation with remixes of songs from Björk's album "Biophilia". At the time of release all the tracks were previously released in The Crystalline Series and Biophilia Remix Series but they were remastered specially for this compilation. "Sacrifice (Matthew Herbert's Pins And Needles Mix Edit)" is just an excerpt of the original remix by Herbert and it works as an interlude in this compilation. This is a really strong album and the remixes are engaging and compelling. Björk's remix albums are always enjoyable - "Telegram" is a good comparison if you've heard it - and the selection of artists here is particularly excellent. Best tracks: "Sacrifice" (Death Grips Remix) "Mutual Core" (These New Puritans Remix featuring Solomon Islands Song) and "Crystalline" (Omar Souleyman Version). As much as I enjoyed the album, it's not very well pressed. The sound quality is mediocre at best and abysmal at worst. 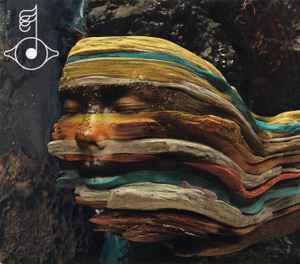 Björk's vocals sound unnaturally strained and some of the instruments feel suppressed. Overall, it's a good item for Björk fans and collectors, but not a great entry into her music or even her music on vinyl.